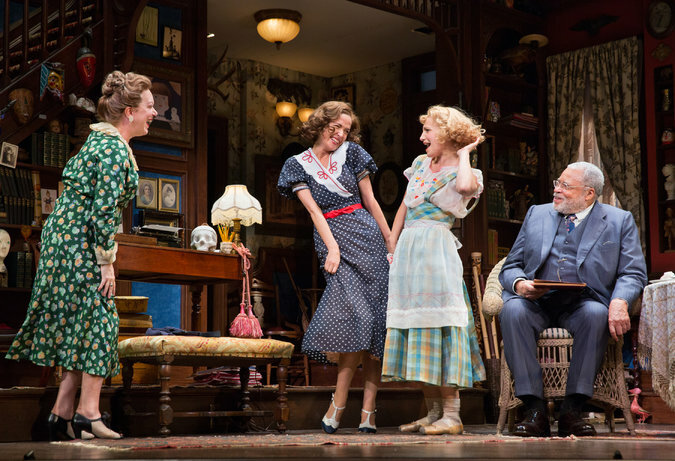 A revival of Moss Hart’s and George S. Kaufman’s You Can’t Take It With You opened last night on Broadway. Ben Brantley gave it an amazing review. I don’t always agree with him, so I am reserving judgment, but it brought up a wave of nostalgia. And a nagging feeling that I’m not remembering it exactly right, but this is what I remember. At the beginning of 9th grade, of high school, a new school, I was determined to reinvent myself. I wanted to be bold, brave, and in the limelight – living life with passion! (I still want this. Well, I am a bit more muted about craving the limelight, but I still want to be bold and brave and to live with passion.) Somehow, I heard about or sought out the theater club. Somehow, I just had this gut intuition that I wanted to be part of this group. It was a loud and insistent and completely uncompromising inner voice that I could not deny. When I inquired about the theater group, the other kids would look at me slightly aghast and laugh. Oh no. You don’t want to be part of the theater group. They are weird. The DQ’s. Drama Queers. Oh no. I DID want to be part of the theater group. They were creative and interesting, bold and brave, and maybe a little bit weird. What these other kids did not know was that I was a little bit weird. I just kept it so hidden and suppressed, no one knew. This is where my memory fails me. I don’t remember auditioning for the show, but I am quite sure I did and that the first show that school year was the comedy, You Can’t Take It With You. I do remember listening to my incredibly clear and demanding inner voice and showing up for rehearsals even though I didn’t have a part. I just showed up over and over again. I had to do it. The director, John Duncan, inspired love and devotion in me and all the club members like I’ve never seen before or since. He welcomed everyone into the club with joy and laughter. He put me on the team handling props. Have you seen You Can’t Take It With You? There are a lot of props. The Props Mistress and I would scavenge the town, and neighborly basements, for all the myriad items that would make up a depression-era apartment and convey each character’s narcissistic quirks properly, like the typewriter. The show is hilarious. (I wonder if it holds up another 40 years later? Ben Brantley says it does. I’m scared to see it. I must see it.) Mr. Duncan would work the timing of the comic lines over and over until they were just right and then he would laugh. Laugh and laugh and laugh until he cried. It makes me cry to remember how much he loved us and believed in us. I am on an airplane with tears coming down my face. Sigh. Live life with passion! The next show we did was a musical, The Fantasticks, a beautifully simple show about young love and life. I auditioned. I can’t sing, but I auditioned anyway. I can’t sing because I am afraid to sing. In second grade my friend Lucia and I sang Leaving on a Jet Plane at the school talent show. Okay. Think about that. Two 7-year-old girls singing Peter, Paul, and Mary’s Leaving on a Jet Plane. We knew nothing of love. We knew nothing about singing. We knew nothing about microphones. The echo back from the microphone threw us off. We were out of tune. We lost our place. We were out of synchronicity. Everyone laughed. Of course they laughed! I was mortified. I never sang again. Except at home or in the car alone, screaming to Aerosmith’s Dream On or soulfully pretending to be Stevie Nicks singing Landslide. Mr. Duncan, who had earned my trust by this time, asked what song I had prepared. Um, nothing. He didn’t laugh. He suggested I sing Happy Birthday. I did. He didn’t laugh. To this day, Happy Birthday is the one song I feel comfortable singing. I didn’t get a part – it’s a small cast. But I remained determined to be part of this club. I was the assistant stage manager. A good role for me – careful and organized and a bit bossy. I treated this assignment like my life depended on it. Maybe it did. For some reason, I earned the nickname “Silly Sally.” Now, if you know me, you know I am not very silly. Well, maybe I’m a little silly. Sometimes. They saw these glimmers of silliness. They saw the hidden part of me that I don’t show. (Shoot, I am crying on the airplane again. Good thing the man next to me is sleeping.) I was accepted for who I was and what I was able to contribute. Everyone was welcome. Everyone played a role, even if it wasn’t the starring role. Oh how I wanted to be the star and envied those performing on the stage. The ingénue with the incredibly beautiful voice. The comic team that cracked us all up. The mime who was so petite and spontaneous, braver than me. I got my chance later on, thank you Mr. Duncan. Gwendolyn in The Importance of Being Earnest. Elvira in Blythe Spirit. That is the extent of my acting resume, but those moments on stage were thrilling and I wonder why I didn’t let myself dive deeper. Afraid to live life with passion.